Westsiders, take note: your post-last call food options are no longer limited to Izzy's/whatever's in your fridge. 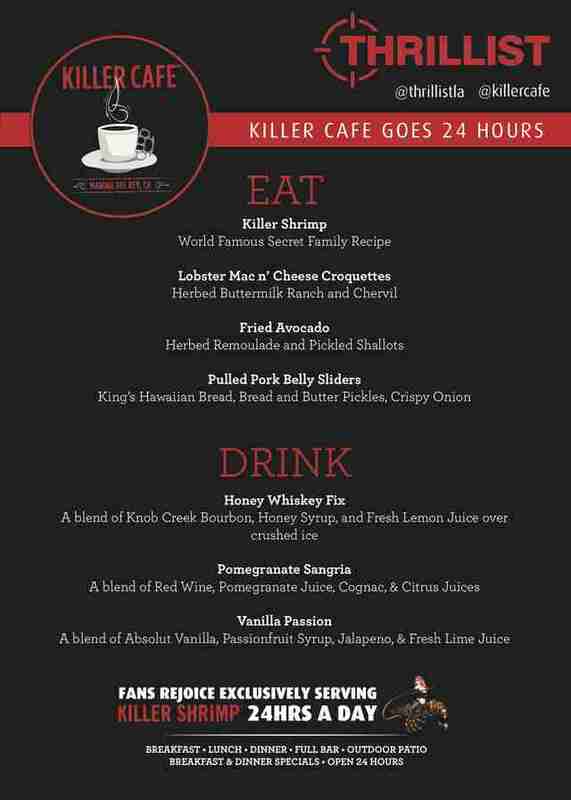 Starting this weekend, Killer Cafe -- the sister restaurant to the crazy-lauded Killer Shrimp -- is going to be open 24/7 in Marina del Rey. To kick it off, they're throwing a party this Saturday from 10pm-midnight for 100 Thrillist readers only, with a menu (scroll down) that includes Killer Shrimp, lobster and cheese croquettes (mmm), and cocktails including their sweet-and-alcoholic Honey Whiskey Fix. RSVP right here, and check out the whole scoop below. Jeff Miller went to high school around the corner from the original Killer Shrimp. 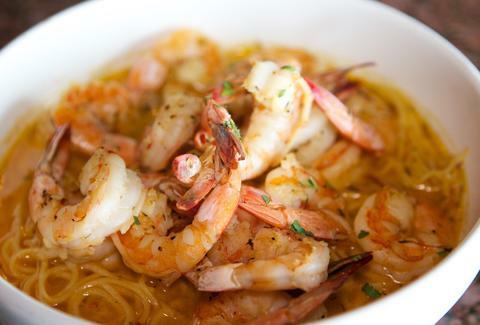 That stuff is delicious. Hit him at @jeffmillerla on Instagram or @ThrillistLA on Twitter.